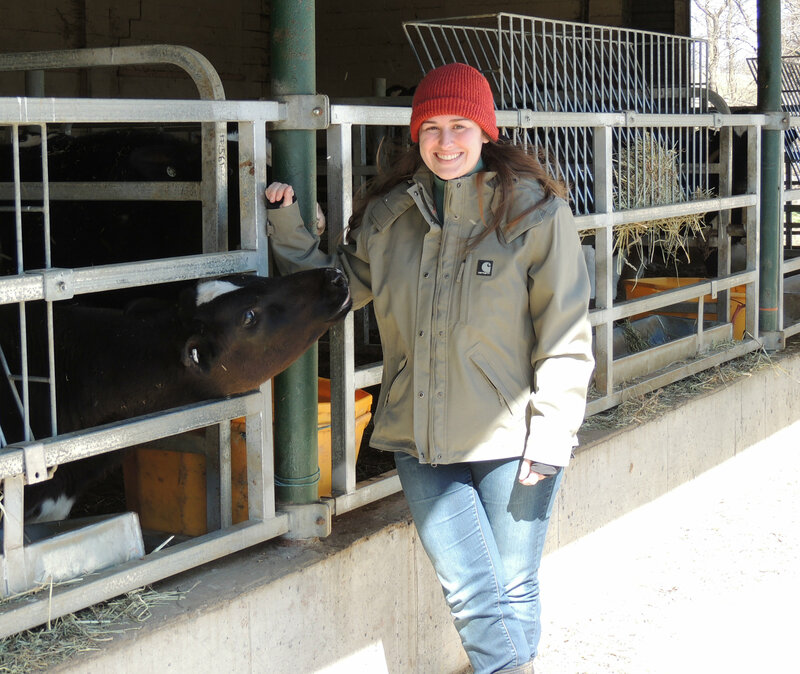 Ph.D. student Nicole Welk-Joerger on cows, unintended consequences, and deciding what we value. A Ph.D. student in the Department of the History and Sociology of Science, Welk-Joerger was named a 2017 Penn Arts and Sciences Dean’s Scholar for her exceptional academic performance and intellectual promise. She’s examining animal-human relationships, though that was far from her plan when she graduated from high school. “I'm the first one in my family to go to college, and I wanted to broaden my interests, to go into art history and go to school in a city,” she says. She double-majored in art history and anthropology at Temple, getting involved with Philadelphia’s mural arts program. When she went to Brandeis for her master’s in anthropology, the professor of her visual culture class pushed her to do something a little different. She wrote about the history of cow photography. “No one had known that farmers take professional pictures of their cows,” says Welk-Joerger. She realized most of her colleagues had no idea how farming worked, and decided to study Amish farmers for her master’s thesis. Working with a feed company, she saw how they advised the farmers on new technologies and practices. She found that the “scientific way” of feeding started at the turn into the 20th century, with the advent of agricultural schools and journals, along with federal regulations and funding. Efficiency was a buzzword of the day. Researchers used calorimeters to try to measure what the cows’ bodies were getting out of the feed. “How we feed animals today came to fruition through this very intricate network,” says Welk-Joerger. She’s also fascinated by the Chesapeake Bay Project, which regulates how animals in the area are fed in order to reduce the nitrates that get into the Bay’s water system. Scientists are developing supplements to lower nitrate levels as well as methane gas levels, using the cow’s body as a conversion machine. Even grass-fed cows aren’t all or nothing, Welk-Joerger says—they may also be fed hayalge (forage that has been preserved), which goes through a fermentation process.